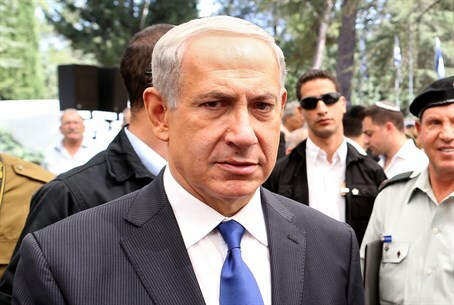 Ten days after publishing a front-page editorial blasting Prime Minister Binyamin Netanyahu's speech at the UN General Assembly as "combative" and sarcastic, the New York Times has published an interview-profile that portrays Netanyahu as a "shrill" voice on a one-man "messianic crusade" against Iran's nuclear weapons program. In the piece, the Times says Netanyahu's long campaign against Iran is "a Messianic crusade" according to "critics and admirers alike." The Times claims that Netanyahu not only seems "a solo act on the world stage," he is also "increasingly a one-man show in Israel, doubling as his own foreign minister." In his recent attempts to focus the world on the Iranian nuclear program, "using ancient texts, Holocaust history and a 2011 book by Iran’s president, Hassan Rouhani," the paper says, "he has sometimes come off sounding shrill" and "risks seeming frozen in the past amid a shifting geopolitical landscape." The "ancient texts" the Times appears to be referring to are the words of the Bible.